There is plenty of space. Pacifico Beach Club located 5 minutes drive from the condos. Free shutlle service available. Schedule: 10 am, 12noon, 2pm and 4pm Pacifico Beach Club has an extra cost of $70 per person per week. Pacifico Beach Club offers a restaurant, bar and 2 pools right at the beach. All the apliances are brand new. Easy access from the kitchen to dinning area. 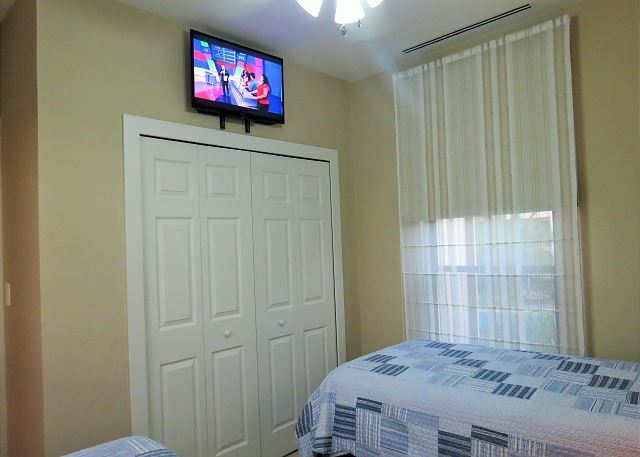 All rooms features TV with Cable service. For extra security a safe is available for no extra cost. Guest Bathroom with walk in shower. 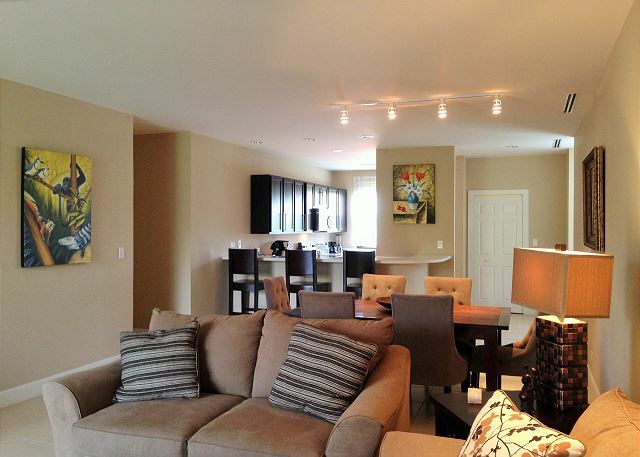 This brand new three bedroom condo is romantic retreat for those with champagne taste. The décor in the condo has been carefully selected for luxury living - it is furnished, decorated and outfitted to the maximum. 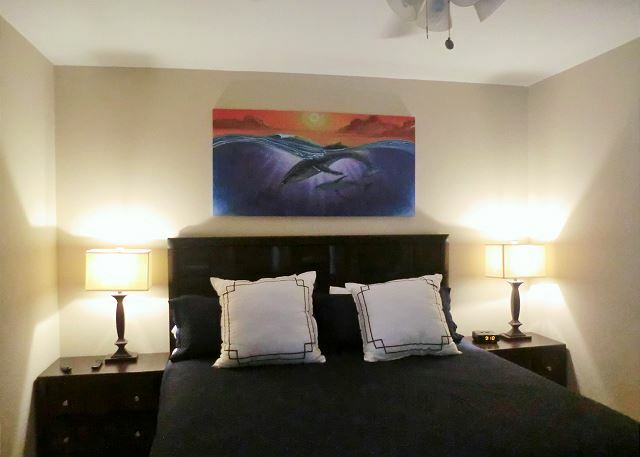 The word "comfort" comes to mind as you relax in the living area fully equipped with large flat screen tv, play station 4, cable, and internet. Enjoy preparing meals in the gourmet kitchen, well stocked with cookware and glassware. The condo has 1 king, 1 queen and 2 single beds, quartz counters, top-of-the-line appliances and extraordinary comfort, both inside and out. Pacifico Resort is in the heart of Playas del Coco and just a ten-minute walk to restaurants, bars, supermarket, stores and the beach. Located 25 minutes from Liberia airport. 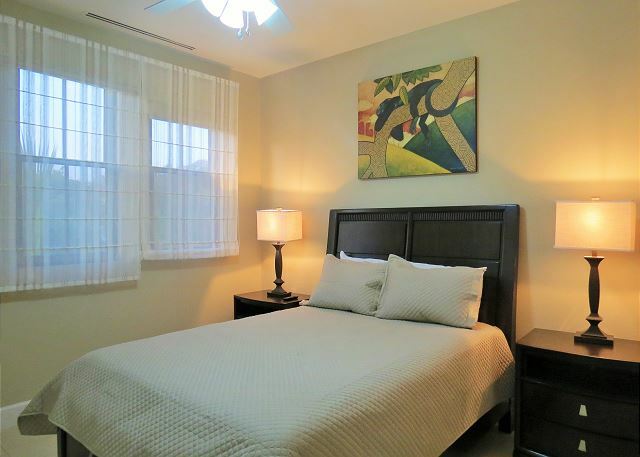 While staying at our lovely 3 bedroom 2 baths unit you will enjoy the finest amenities along with full concierge service. While here, let us help you plan your Costa Rica adventures, including visiting volcanoes, scuba diving and/or snorkeling, deep sea fishing or just enjoying the abundant wildlife. Pacifico Resort Condominiums offers 4 beautiful pools, a restaurant, daily shuttle to the exclusive Pacifico Beach Club, walking distance to shopping, restaurants & bars, souvenirs and more. The gated community is a secure home for you, your family and friends. As a guest of Pacifico #L310, temporary membership to the exclusive Pacifico Beach Club is available during your stay, this amenity has an extra cost of $70 a week per person (per condo). The Beach Club is located around 1 mile from the community and free shuttle is provided every day. We stayed in unit L310 for two months and found it very comfortable. Well equipped, comfortable beds and well located. Milagro saw to all of our needs and responded quickly to any problem that needed attention. We had a great time at Pacifico. Location, quality were very good. We'll come back. The accommodations at Pacifico were perfect for our family. 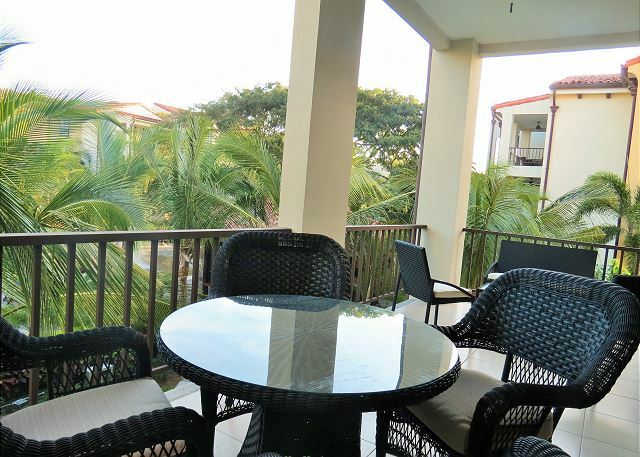 This unit conveniently located overlooking the pool, and all the amenities of home. The grounds were beautiful, especially the mango and coconut trees. The concierge service and staff truly made our stay complete, in guiding us to all our adventures! Very nice room. Service was great. 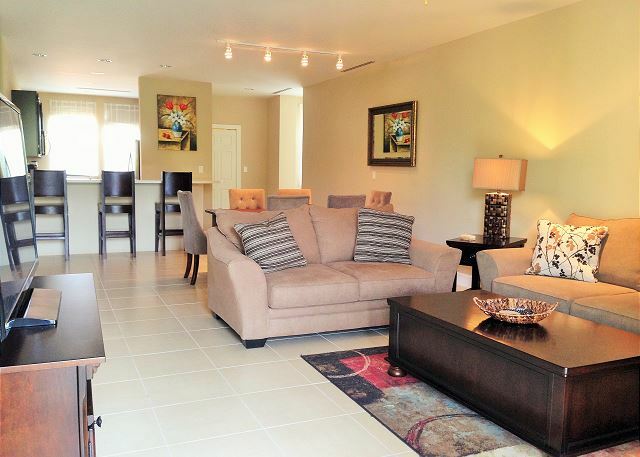 A Great Condo in Playa del Coco! Everything was as described at the condo - it was simply perfect! It was spacious, clean and Frazer, from Milagro Rentals, was there to greet us and answer questions every step of the way! Very comfortable & convenient. There is nothing missing. Staff brings coffee, beer, and some other few (important) things before you arrive. Complimentarily. Very appreciated. All in all, an excellent experience. Only flaw: they charge 5% more if you pay by credit card. Cash sounds overappreciated, like in drug dealing business. by far the nicest Pacifico condo we've stayed at. We were very happy with the condo. The kitchen was great and the living space very comfortable. There were great TVs in every room! We thoroughly enjoyed renting this unit. Our concierge, Laura, was very helpful. She was very responsive via email in making the reservation, providing information and arranging tours and transportation. She arranged a rental car for us and a fishing trip and offered much more. 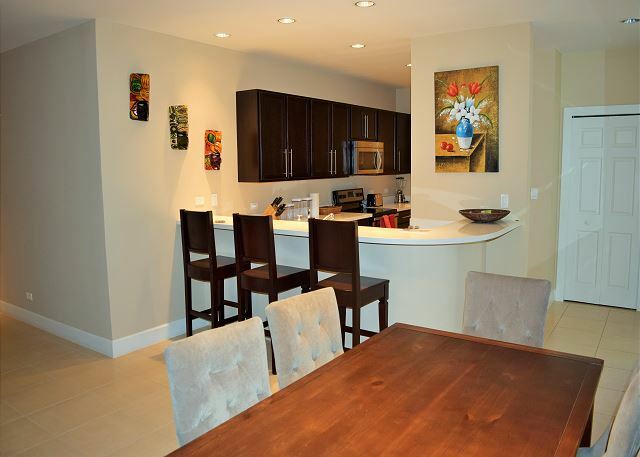 The condo was very nicely decorated, furnished, and equipped in the kitchen. The air conditioning worked great. 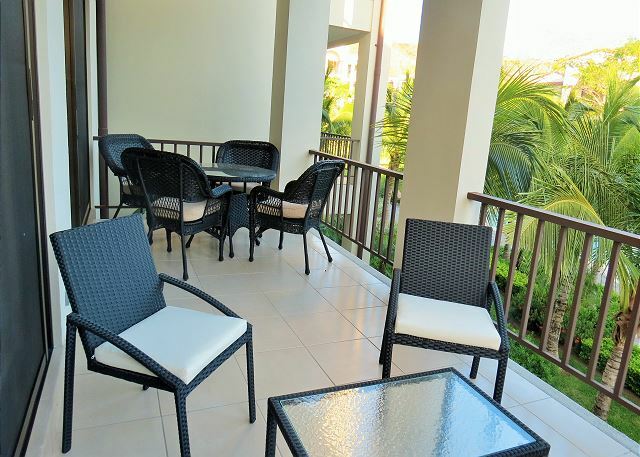 This unit is on the second floor and my wife and I enjoyed our coffee in the morning on the furnished balcony overlooking the beautiful pool. The grounds and landscaping of Pacifico are impeccably maintained. It was an easy walk, just a few minutes, or a very short drive, to the upscale shops, which included a nice grocery store and pharmacy, conveniently located immediately beyond the guarded security gate. The pool cabana bar was also right below our room and next to the pool. There is a nice selection of drinks and food and the staff is very attentive. You can be served at the bar or at the very nice outdoor furniture surrounding the pool. The cabana bar closes at 5:30pm. We also got access to the Pacifico Beach club about a five minute drive away. 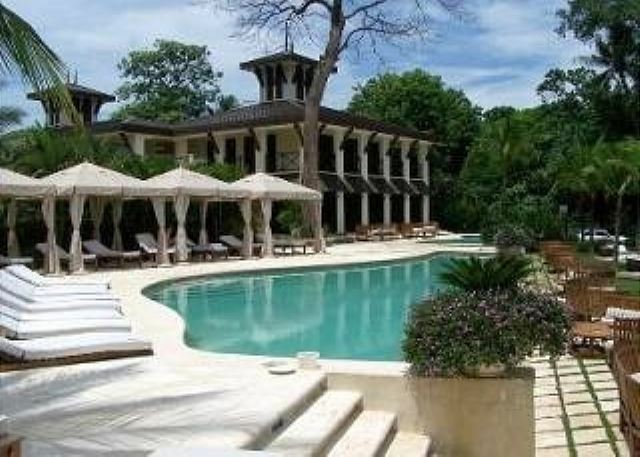 The Beach Club is a beautiful place to go for the beach, infinity pool/spa, lunch, dinner, drinks/happy hour, sunset, etc. great lounge chairs with shade tents and curtains around the pool and other furniture to sit/lay out on in a grassy area between the pool and the beach. Amazing fresh pineapple piña coladas! A great option to add to your stay. I will definitely rent this unit again and would recommend it to friends. I would give a 5 (very satisfied)to all of your questions. However we where not very happy that a construction was right beside the house were we stayed, and construction noises where even on ,s the same this time because my wife already complained that is the same like last time. I feel you should give a discount for such problems, even knowing it is not your fault. Thank you for your comments and we are glad that your had a good time. We visit outside the unit several times after the noise reports but we were on able to communicate with you because you where not at the unit and the noise level was low during our visit so unfortunately we found´t determinate the cause. The construction is advance and hopefully will be done soon. Thank you for staying with us!